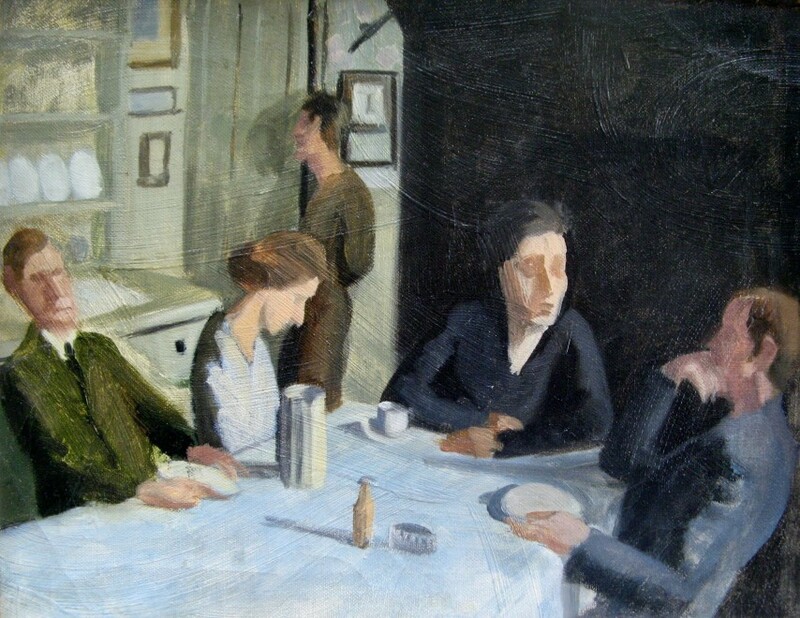 From left to right the painting shows George Carline, Hilda Carline, Richard Carline, Annie Carline and Sydney Carline. The Carlines House at 47 Downshire Hill, Hampstead was a centre for Artist gatherings during the 1920's and 30's. Visitors included Stanley Spencer, Nevinson and Henry Lamb. The present painting is an oil study for the painting which was formerly in The Tate Gallery's Collection (but was lost in the Tate Flood of 1928).